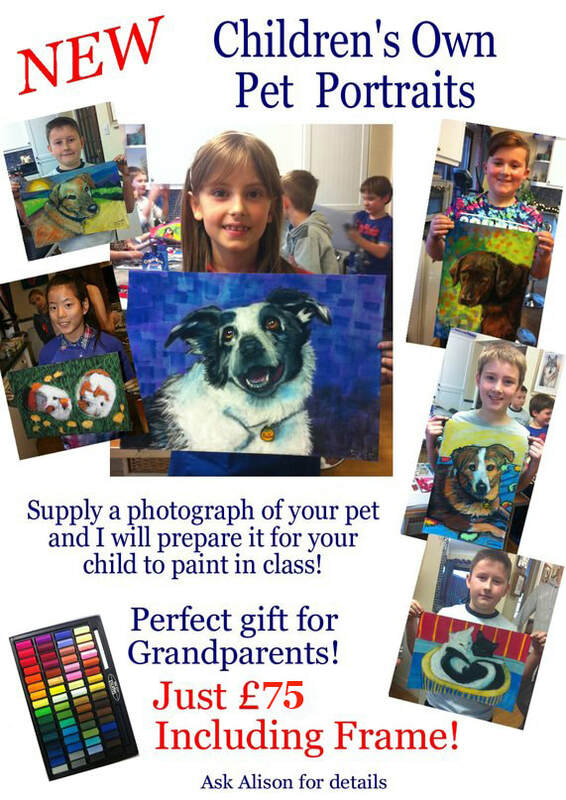 Each class booked is completed with a frame take with you, so the finished portrait will be all ready to hang up when you get home! Can you spot the colour differences in the images below? In class, you will be asked to do a tonal sketch of your chosen portrait using just the black and white chalks and a black charcoal pencil. 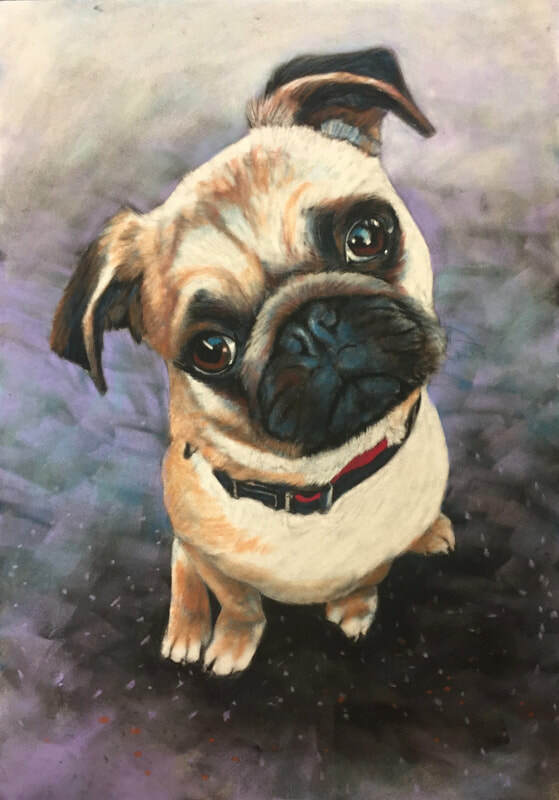 Don't worry, you won't have to draw it out from scratch, you will begin with what we call a template of your portrait, which is a very light image transferred onto a velvety paper called velour. Each photograph you follow has been specially colour separated and drawn out and will help you to see where you need to go next. Mixing your warm colours on top of your cool colours will help you to understand how colours work together and how important it is to use base tones such as the blue as in photograph 2. 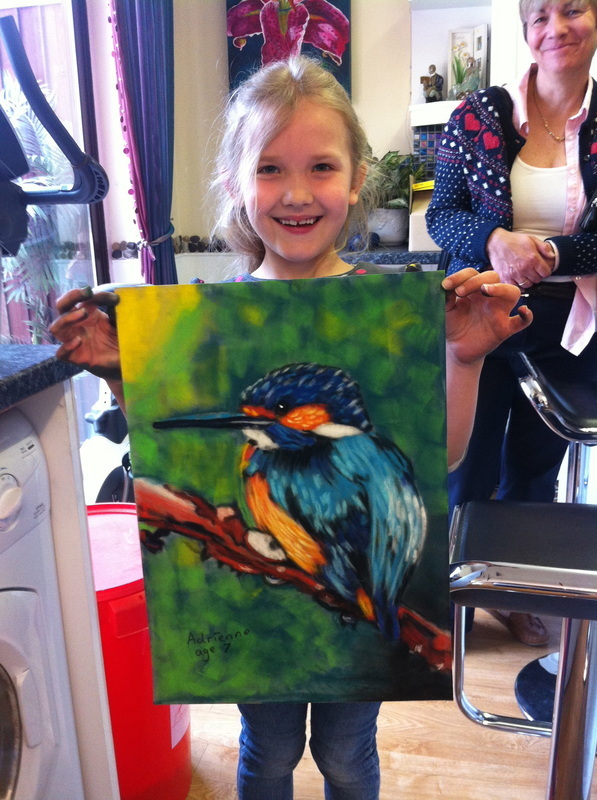 The end result will be a beautifully detailed portrait that you can show your friends and family. Recommended by schools as part of extra curriculum activities. 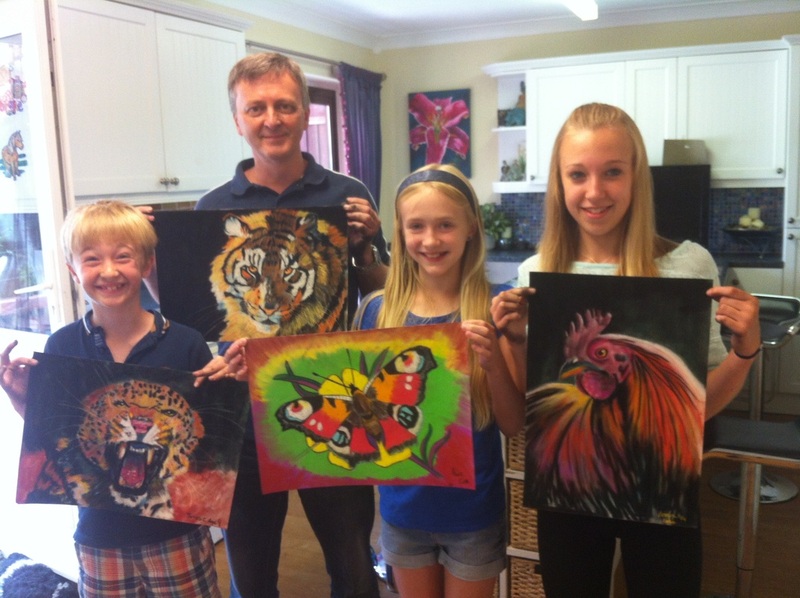 ​Once framed your portraits can go straight up on your wall when you get home! Clip frames available for just £5 each! 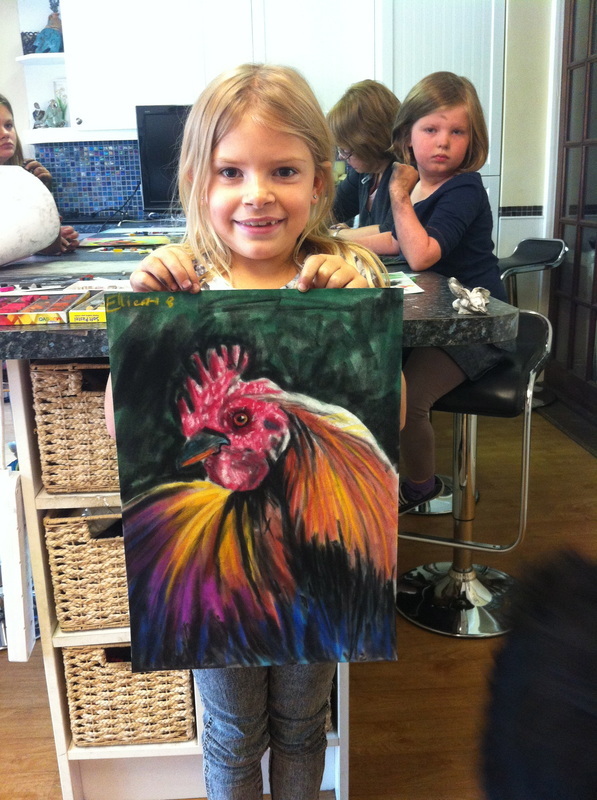 Give your young artists a real treat with our 2 hour pastel workshops. 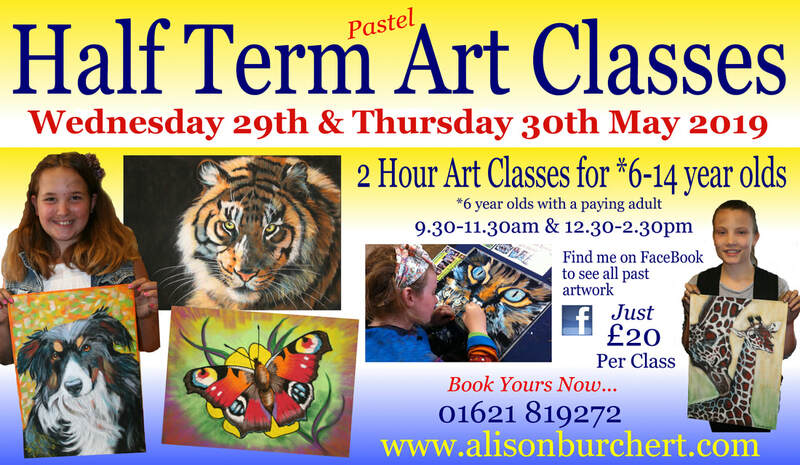 These classes run every school holiday with nearly 50 different animal portraits to choose from. 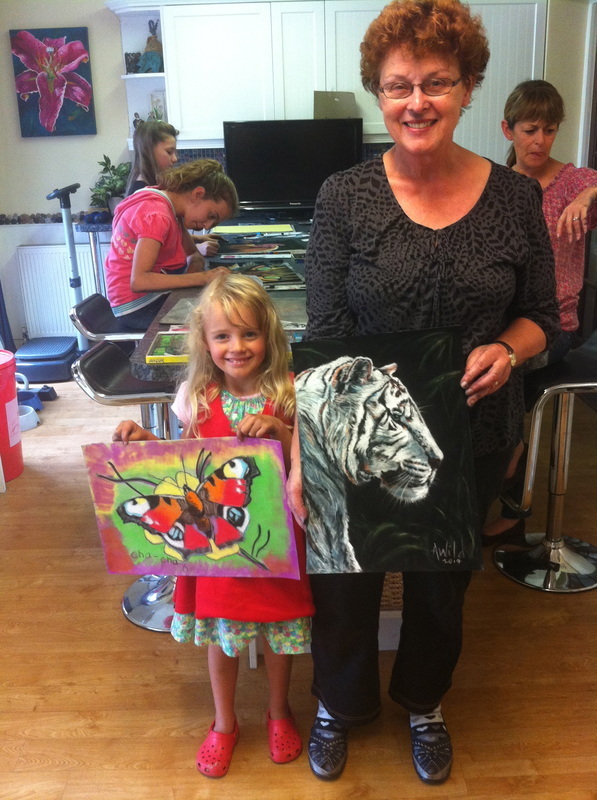 Whether your child excels in art or not, they will be amazed at their new found talent! Ages are between 6 up (6 year olds must be accompanied by a paying/participating adult). These Art Class Gift Vouchers are a great idea for whenever you need that last minute gift, or just to surprise someone as a special treat! 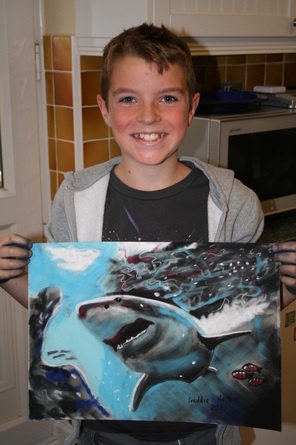 Why not print off the voucher and give as a unique gift to a young artist you know! They'll absolutely love you for it! They can be used any time of the year! All classes must be booked prior to attending class and unless pre-purchased directly from Alison, payments are always made on the day of class. ​When you're short of unique idea's, this one will really hit the spot! 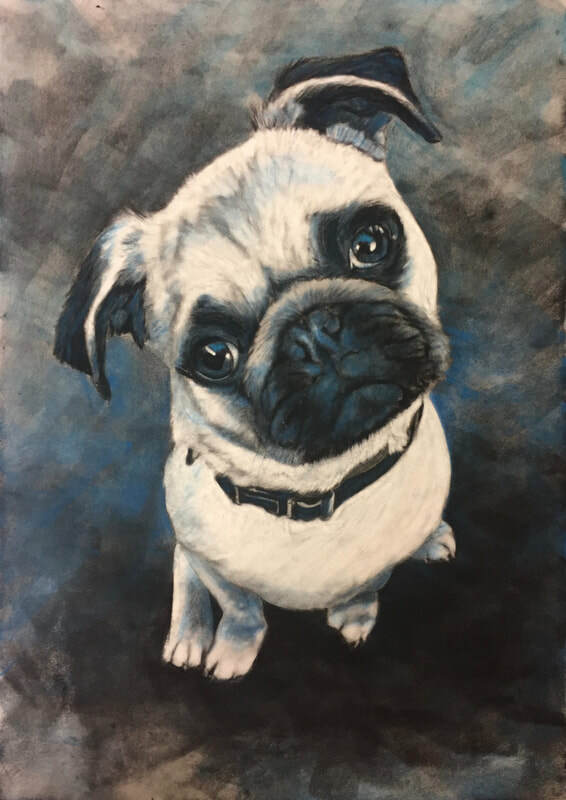 Who do you know who'd like a portrait of their pet, drawn by the young artist in the family? Let me know in good time to get these ones done as I have to colour separate by hand the four overlays of the portrait, photograph each stage and print out. Call me if you'd like to know more. 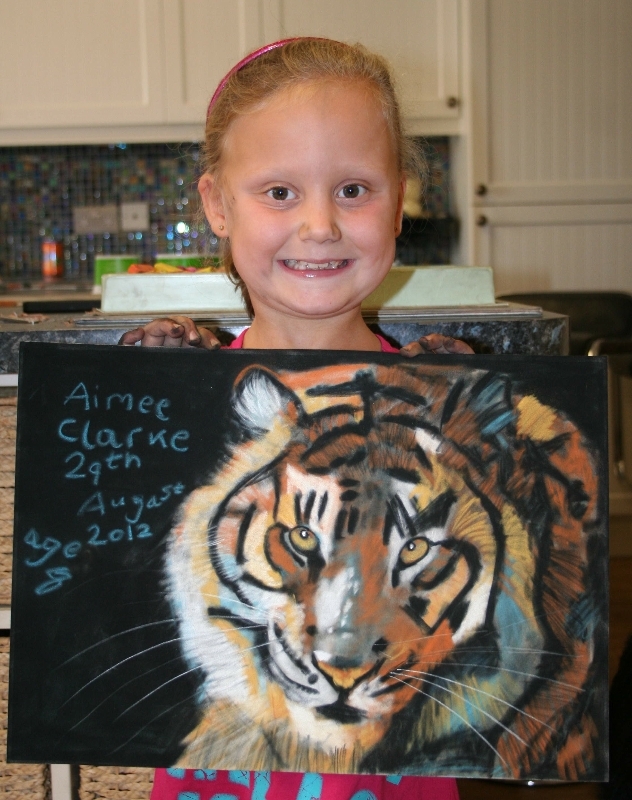 All art class images and chalks can be purchased from Alison any time of the year. Please ask about any special offers we have. 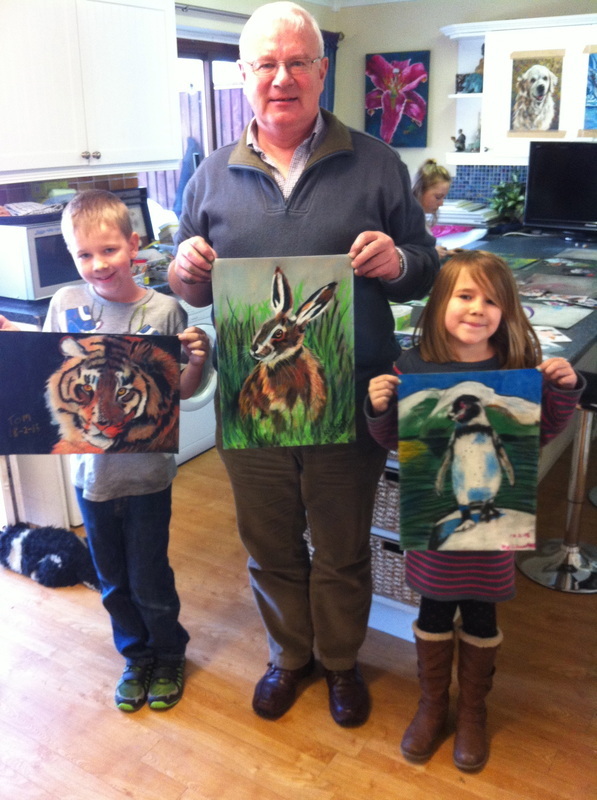 I do School assemblies, visiting artist classes with small groups and art club visits. Give me a call and lets see what we can sort out! 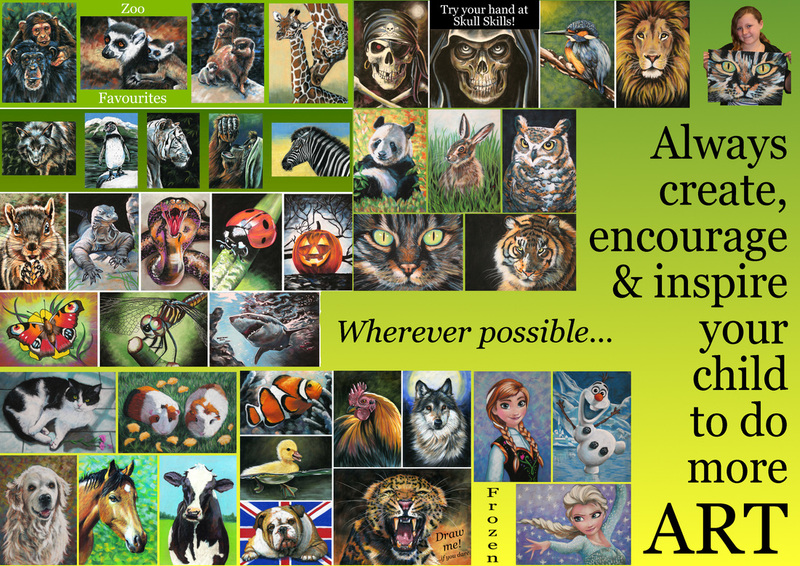 There are now over 50 different portraits to choose from! What will you choose? Available by telephoning Alison Burchert direct for your unique pass code. Call 01621 819272 today! The cost is just £20. Can be sent by post or via E-voucher. Please remember to wear old clothes or bring an apron as pastels can be quite messy. Wet wipes are always available at the end of each class so you can get yourselves as clean as possible for pick up! 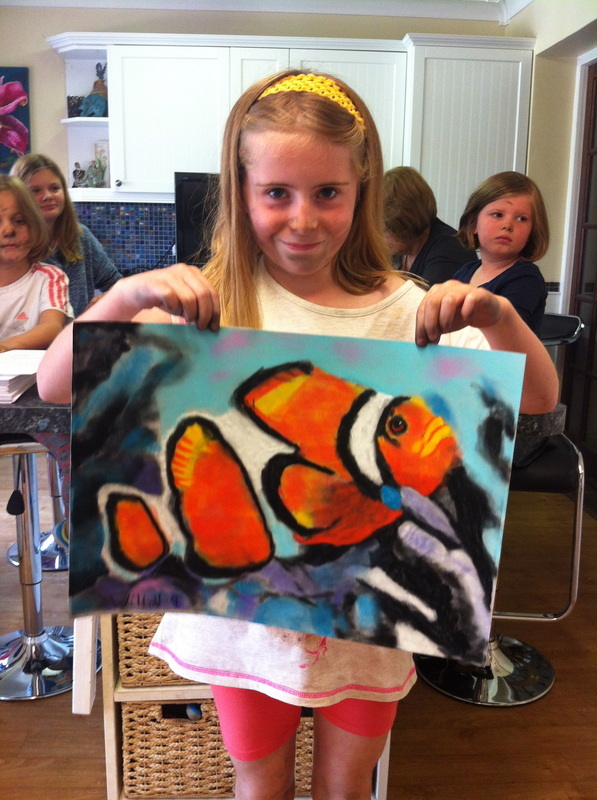 We look forward to welcoming your budding artists! "Hahnemühle FineArt is pleased to be part of such an exciting project which will bring art to many people and add a whole new perspective to your art experience. 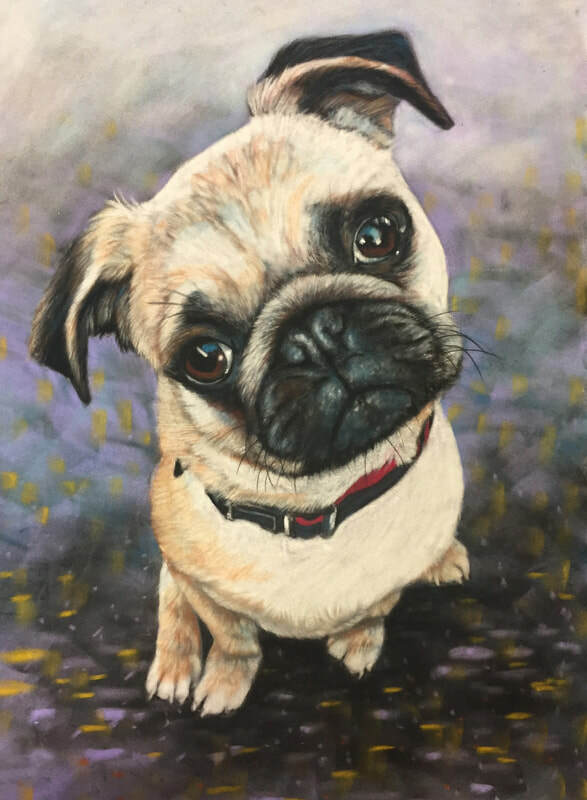 Our pastel velour paper will be available for the artists - a high quality acid free paper with a beautiful velour surface, and one of our most popular papers which we are sure will be enjoyed and lend perfectly to the subject matter". Booked classes can be moved to different days or time slots where available up to no less than 24 hours before class. After the last 24 hours, any cancellations or no shows will be charged at £20 per student.